The Sharks are offering a fantastic opportunity for female players of all ages to grow their skills in Australian Rules Football. Through qualified and skilled coaching, we aim that our Sharks Youth Girls Teams have a strong pathway to continuously improve skills, develop as sportspeople, and establish new friendships. From the Auskick program or entering the club at a junior or senior level, we welcome all players. Girls, we need you! Registrations are now open to join the Sharks for the 2019 footy season. Come and be part of the fun! Questions? Email our Sharks Girls Coordinator! Do I have to have played Auskick before? There is no requirement to have played Auskick before participating in YJFL competitions. How much does it cost to play and how do I register? Prices are shown in the Fees table on our Registration Page. To register, please complete the form above! Any questions? Email girlsfooty@sharksjfc.org.au. When and where are games played and training held? Most of the games are played on Sundays throughout the season. Teams will play half of their games at their home ground and the other half at their opponents home grounds. Usually the younger age groups will play earlier in the day. Season dates are shown in the Sharks Calendar. Each team's training schedule is available on the Teams, Coaches and Training page. 16 players are needed to field a team. There is a maximum of 24 players per team on game days with 8 on the bench. 11 players are needed to start an offical game. If one team has fewer than 16 players, then both teams must play with equal numbers on the field. Is there scoring and finals? U10s girls’ games have scoring but will not play finals as the focus is on learning the game and developing their skills. Scoring, ladders and finals are permitted in U12, U13, U14, U15, U16, and U18. U15 through to U18 also have representative teams. Footy can be physical, are there many injuries in the girls’ competition? Girls playing football are at risk of injury no more than a girl playing netball or basketball. Football is a contact sport and can be a physical game which is why different age groups play with different modified rules, tailored to their different stages of development. Are there other ways to be involved in girls footy if I don’t want to play? Absolutely. 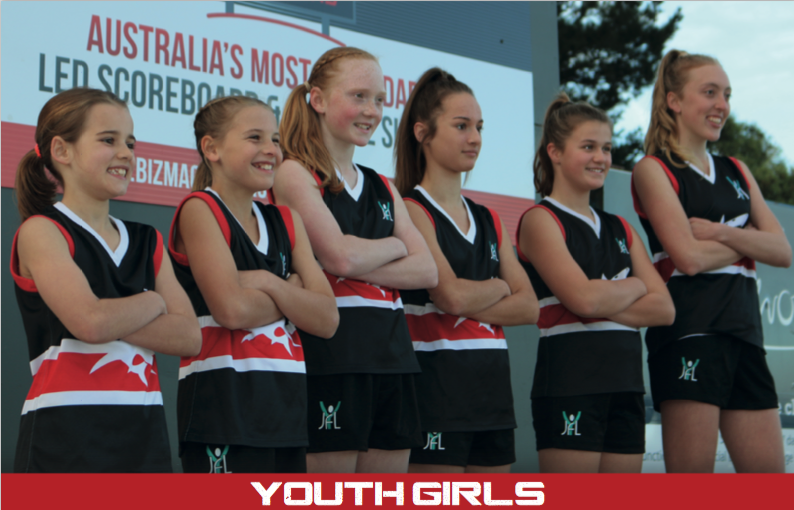 Girls/Womens football is the fastest growing area of AFL football in Australia and there are always roles for women and girls. You can become a coach, an umpire, a trainer, a team manager or a club administrator. There are plenty of voluntary and paid roles in the AFL for females so contact your local club to find out how you can get involved. 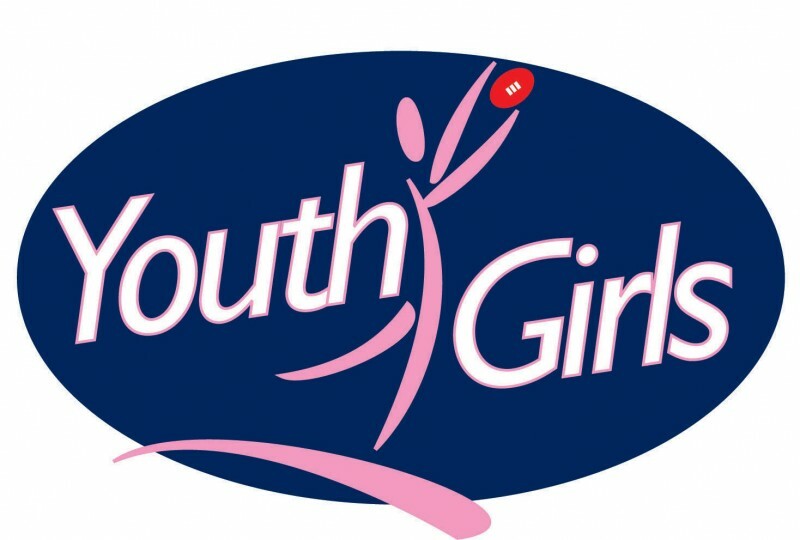 What is the pathway for girls if I want to keep playing beyond youth girls? Once you are over 18 and can no longer play Youth Girls, you can start playing senior womens football. There are many senior womens football teams throughout Victoria that play in the Victorians Womens Football League (VWFL). Questions? Email our Sharks Girls Coordinator! 15 a side plus up to 5 interchange. 16 a side plus up to 8 interchange. 11 players needed to start an official match. 16 a side plus up to 8 interchange. 11 players needed to start an official match. Players cannot bump/push an opponent, knock/steal the ball out of their hands or smother an opponents kick. Full tackling is permitted. (no sling tackling) Full tackling is permitted. 1 field, 2 goals. Parents. 1 field, 2 goal and 2 boundary umpires. Club/association 1 field, 2 goal, 2 boundary umpires. A mark is awarded, irrespective of the distance the ball has travelled, to any player who catches it or makes a reasonable attempt to mark it. A mark is awarded when a player catches the ball directly from another players kick that has travelled at least 10 metres A mark is awarded, irrespective of the disctance the ball has travelled, to any player who catches it or makes a reasonable attempt to mark it. A mark is awarded when a player catches the ball directly from another players kick that has travelled at least 15 metres. From a kick, a free kick is awarded against the player who last kicked the ball. From hands, or if there is doubt, the umpire shall call a ball-up 10m in from boundary. Boundary throw-in. Boundary throw-in. Boundary throw-in. Not permitted unless accidental. Not permitted unless accidental. Not permitted unless accidental. Not permitted unless accidental.